Love justice? 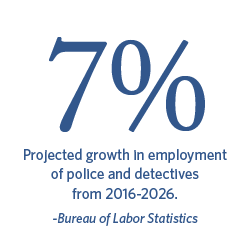 Looking for a career in law enforcement? Regent's Bachelor of Science in Criminal Justice—Corrections focuses on issues of juvenile justice, criminal law, criminal procedure and criminal justice systems. Explore courses with an emphasis in critical thinking and ethics—all taught from a Christian worldview. Compare the justice systems of Western and non-Western nations to broaden your influence and effectiveness in corrections.